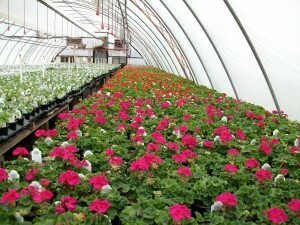 We are starting to see more color out here and there. 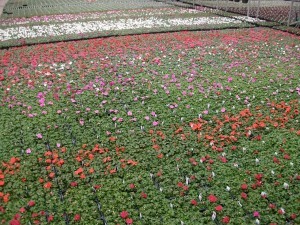 The cold, cloudy weather we had this month has us a little bit behind on having color showing. 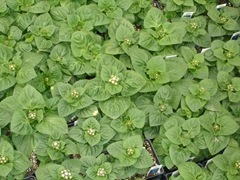 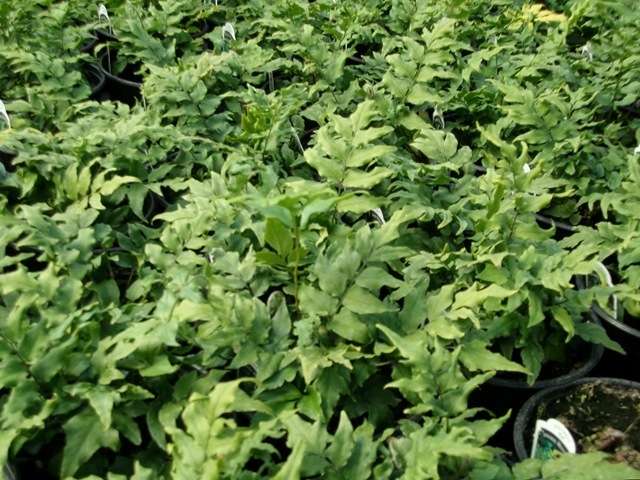 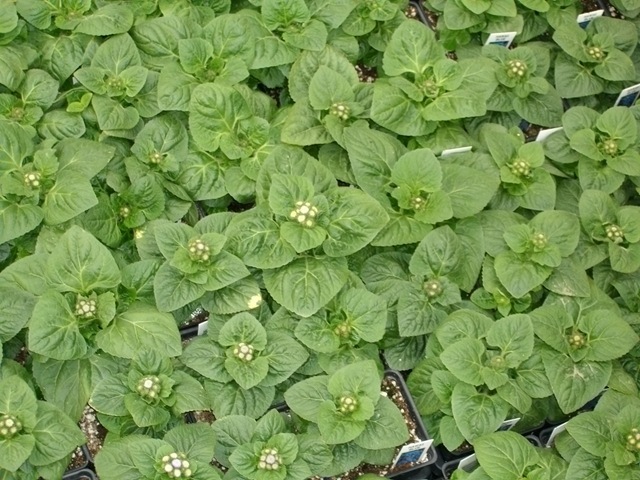 Added this week are #4 Vegetables, Perennials, Baskets, Osteos and Pentas. 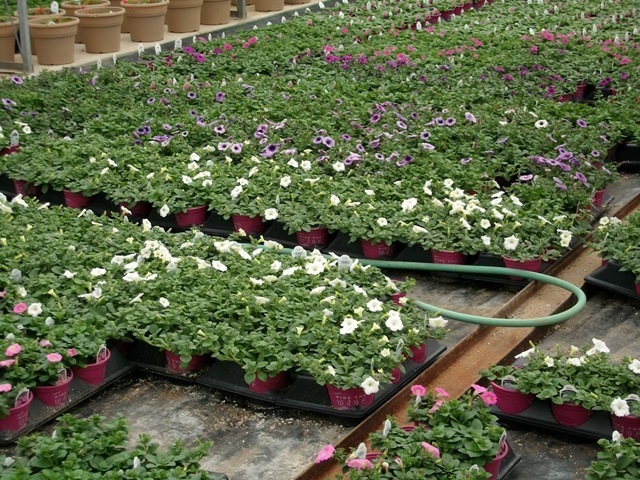 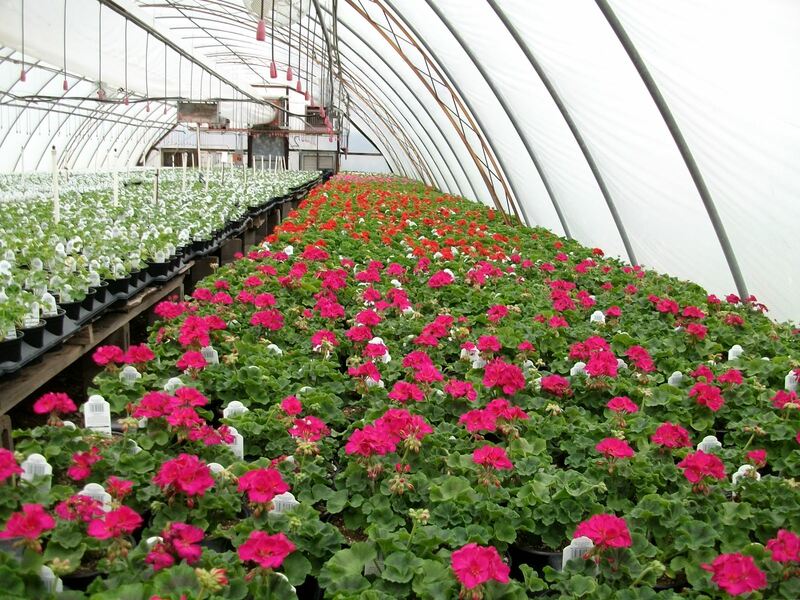 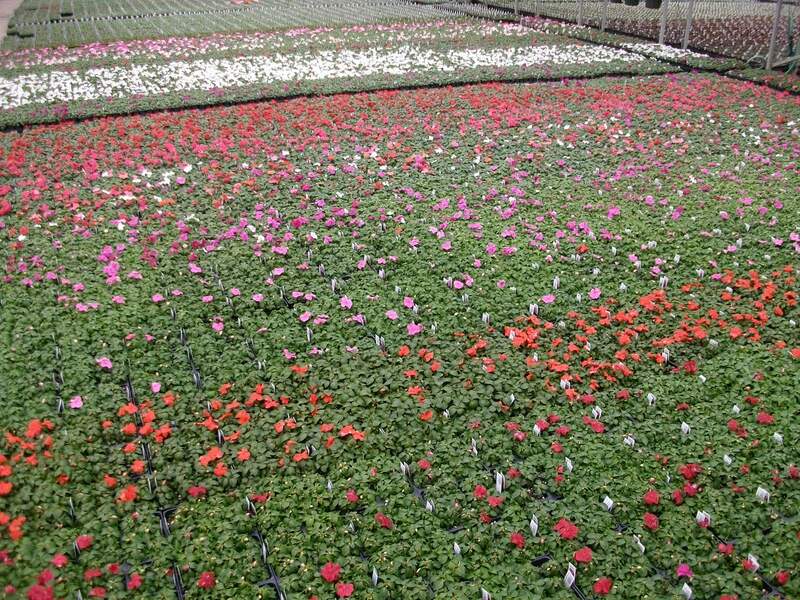 In addition to the Dusty Miller and Snaps, we also have Begonias, Celosia, Coleus, Impatiens, Marigolds, Petunias, Portulaca and Verbena in varying degrees of color. 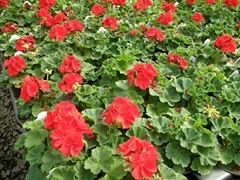 Our #6 Geraniums are looking good and our #6 Marigolds have Buds. 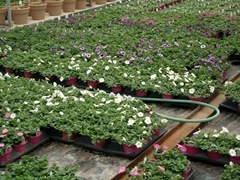 What’s left of our first planting of #6 Waves have color as do some of our Wave baskets now. 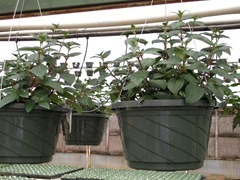 The Wave baskets we have all have 15-25 buds that will be open by next week. 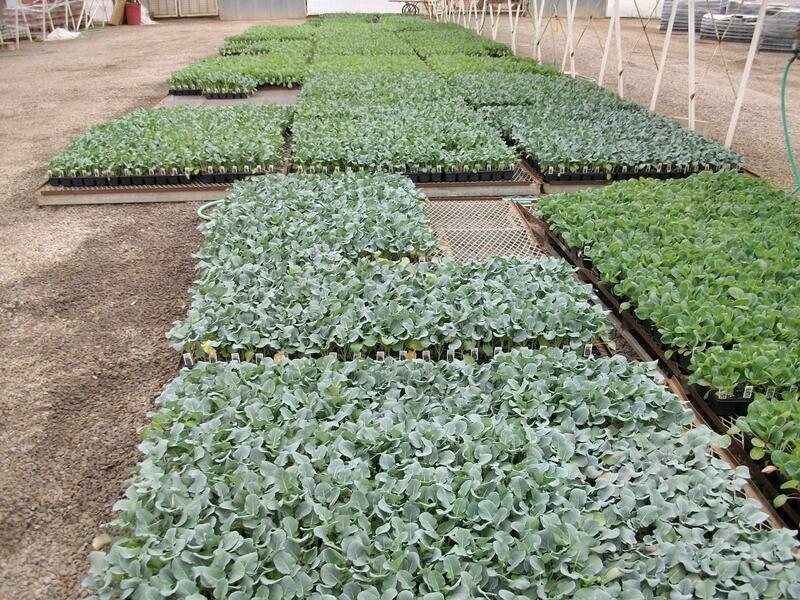 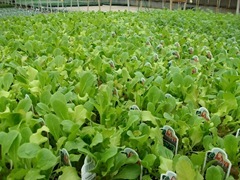 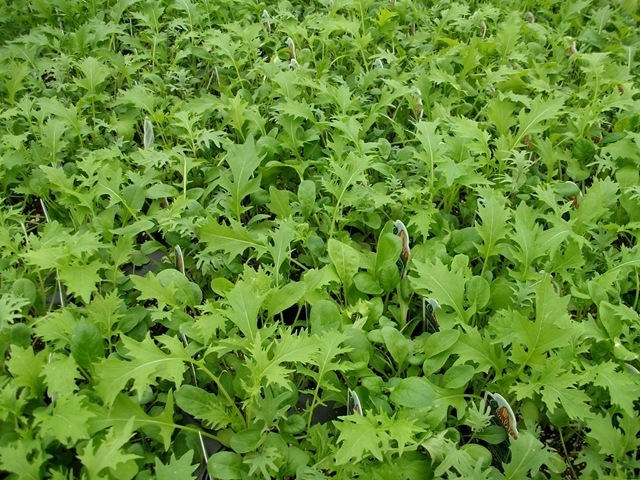 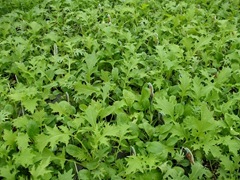 To add to the Cole Crops we have available, we have #4 Lettuce and more #4 Onions. 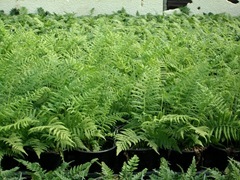 Also have some Hardy Ferns ready, quart Perennials and a bunch of Stepables. 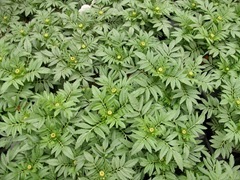 I will get you some pictures of the other perennials tomorrow or Monday. 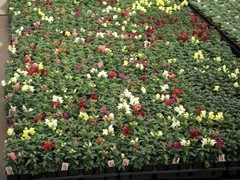 We had more color pop out this week with Snapdragons and #6 Waves. 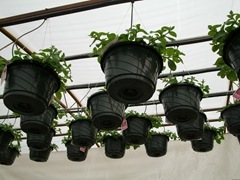 We also now have tomatoes, peppers, herbs and Stepables® ready. 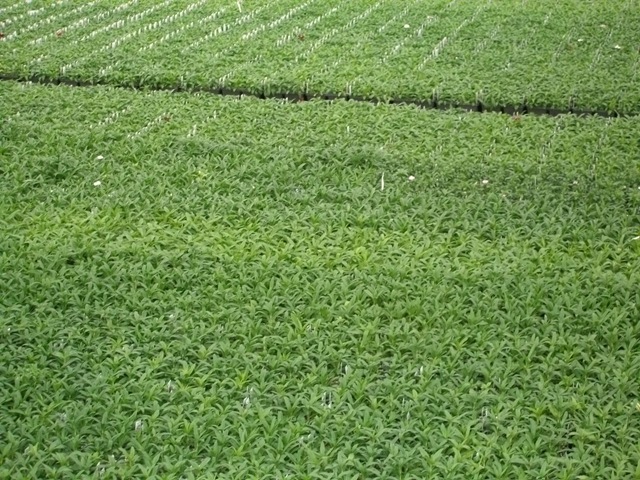 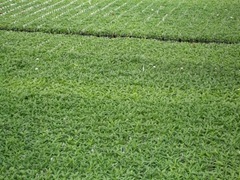 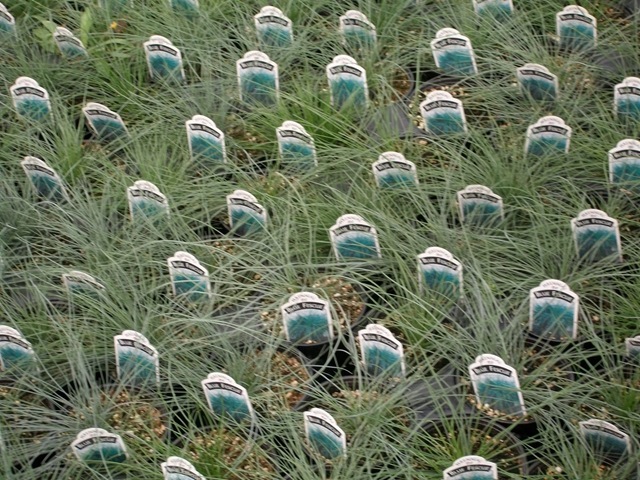 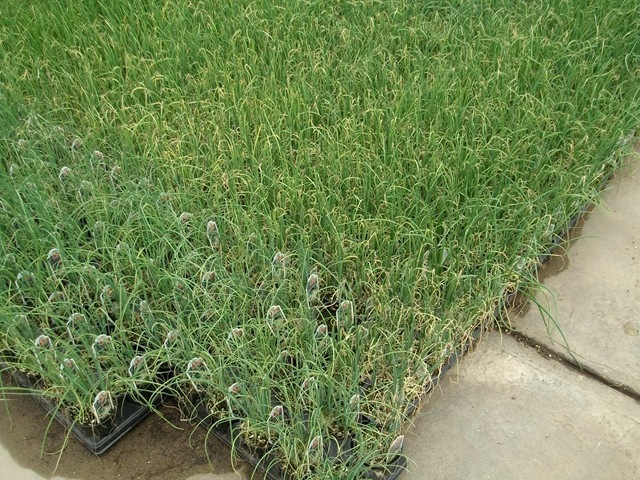 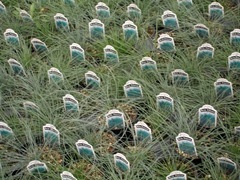 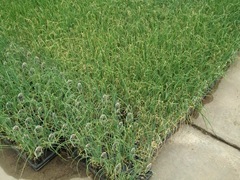 Blue Fescue should be ready in about 10-14 days and the dianthus should have some color at the end of next week. 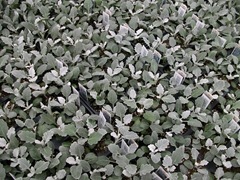 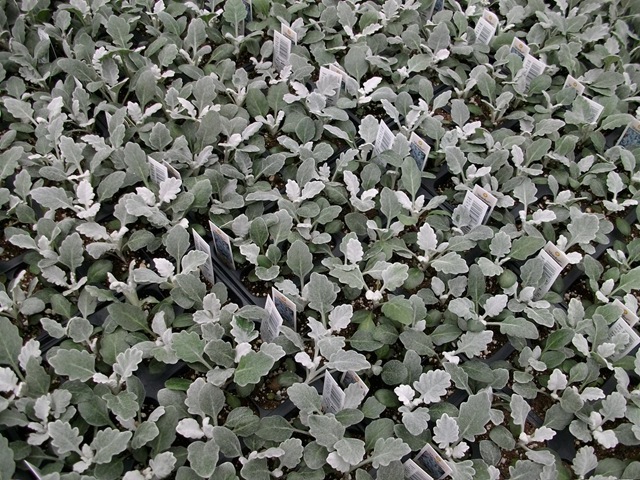 Dusty Miller needs another 10 days and the Fuchsia baskets will need 2-3 weeks. 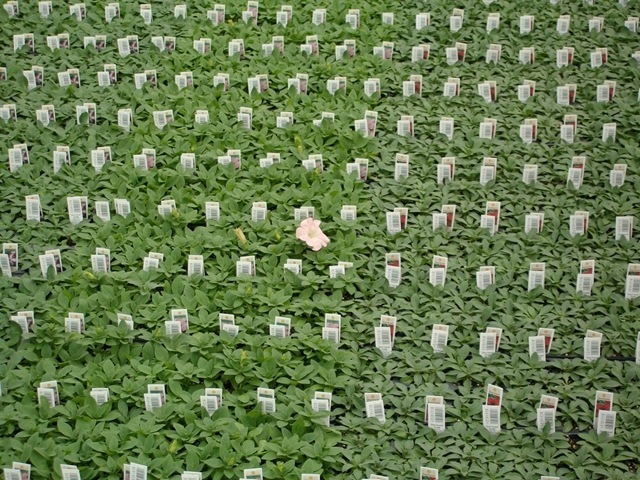 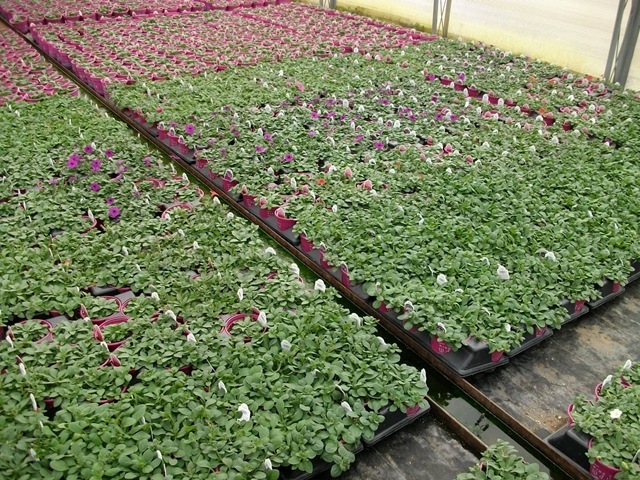 The first planting of Hypoestes and a single petunia bloom. 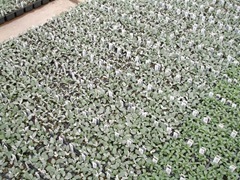 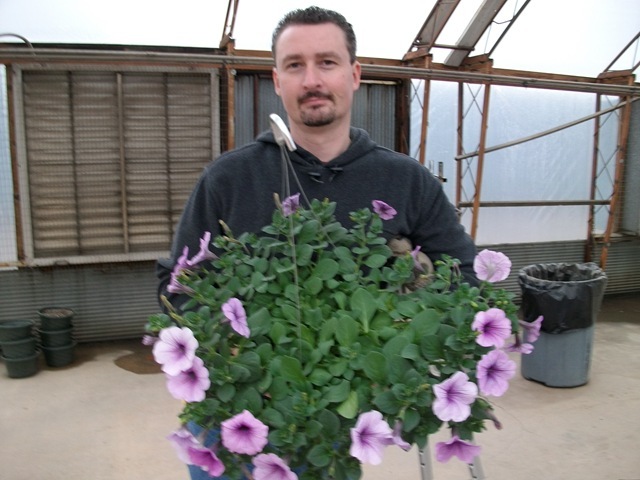 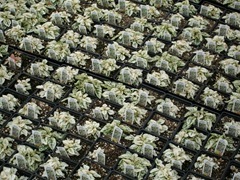 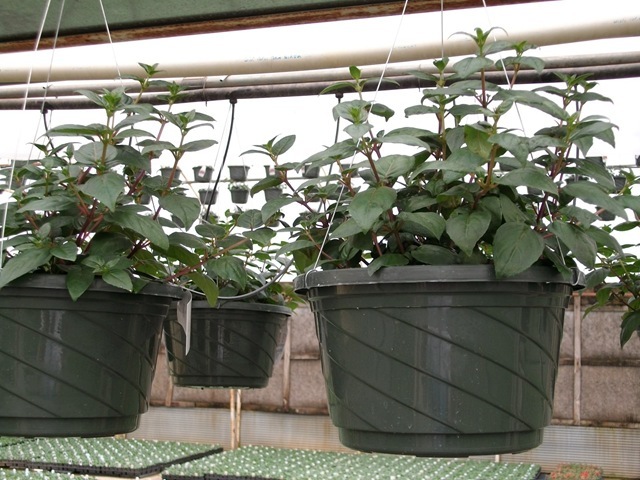 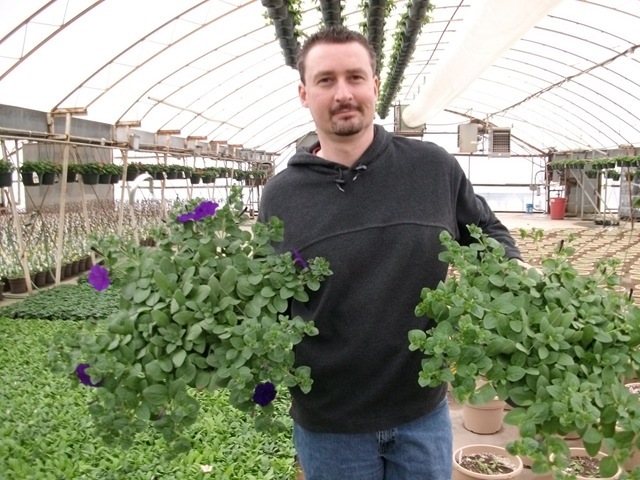 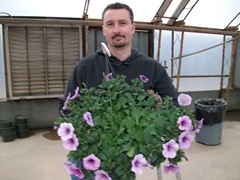 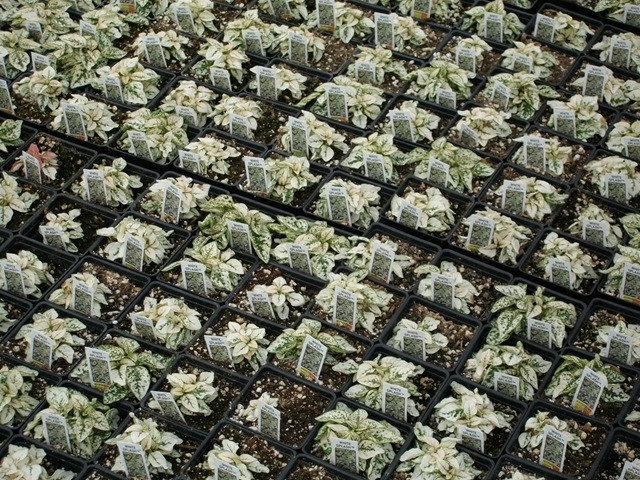 These Wave Petunia baskets should be ready in about 10-14 days. 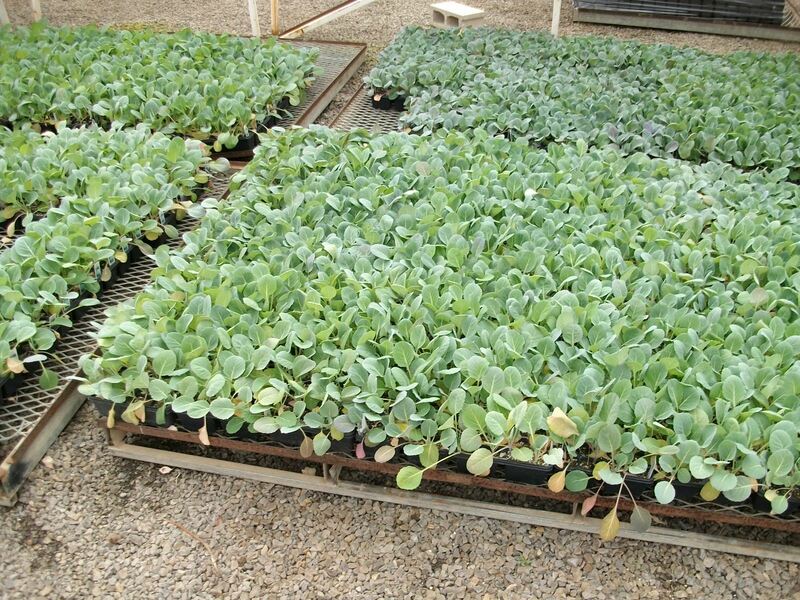 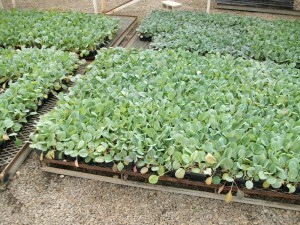 Take a look at this video featuring some of the Zahara Zinnias we are growing. 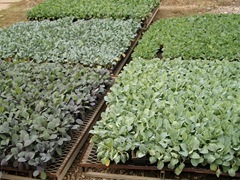 We have quite a few cabbage, broccoli and other cole crops ready now, and we are starting to get some color showing. 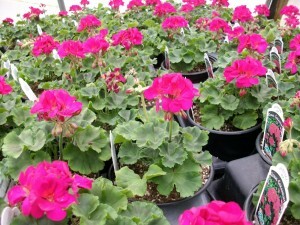 Next week if the Little Rock Flower and Garden Show, and I know that some of you are needing some color for the show. 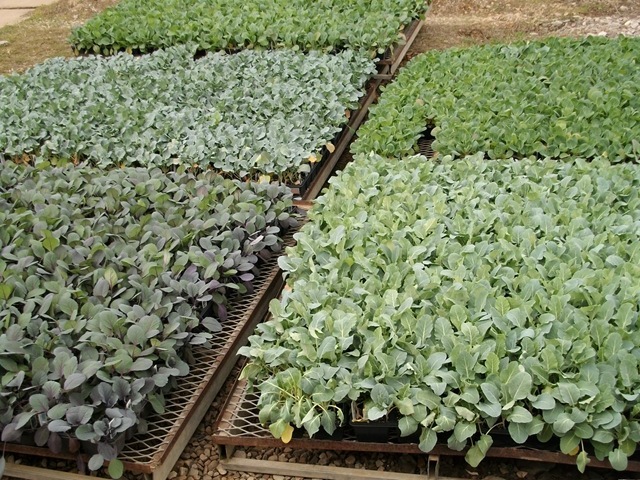 At this point we are a little behind on color and size. 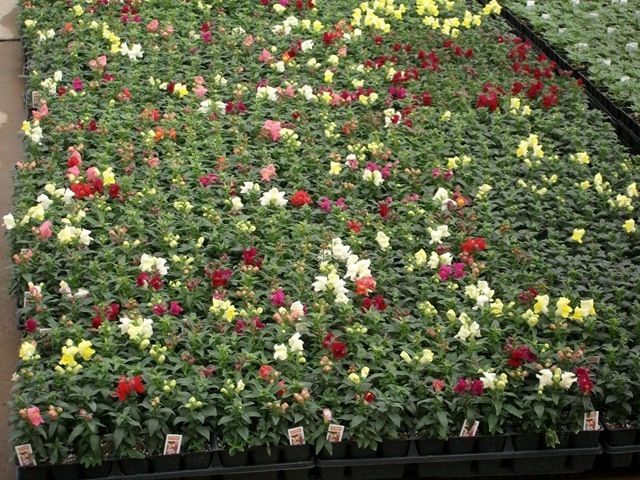 In addition to the Geraniums (still a little small) and Impatiens below, I think we will be able to come up with some Snapdragons, Petunias and a few other items. 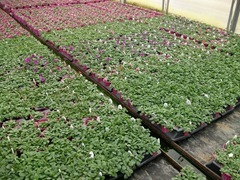 I will post an availability on Friday with pictures of everything that’s close so that you can see what we have. 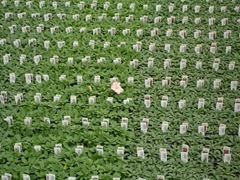 If I were to guess, I don’t think it will be a lot of numbers or color at this point. 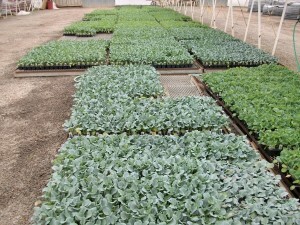 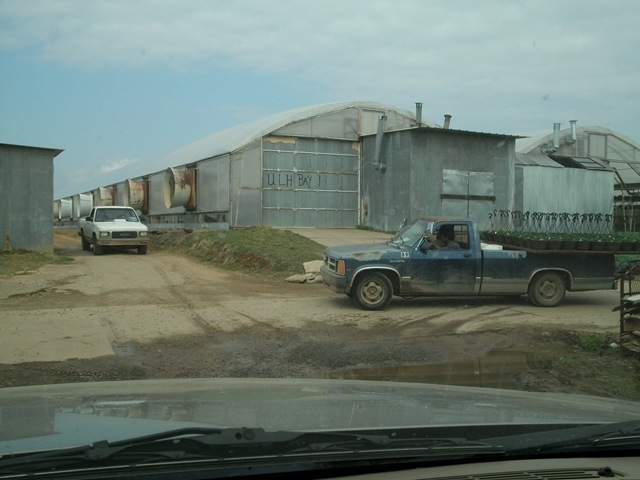 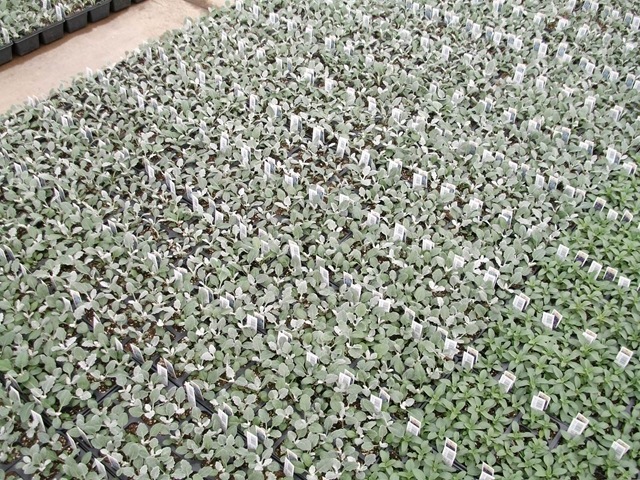 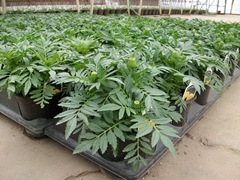 However, the nice weather we have forecasted will help a lot, and the plants still have a week to grow. 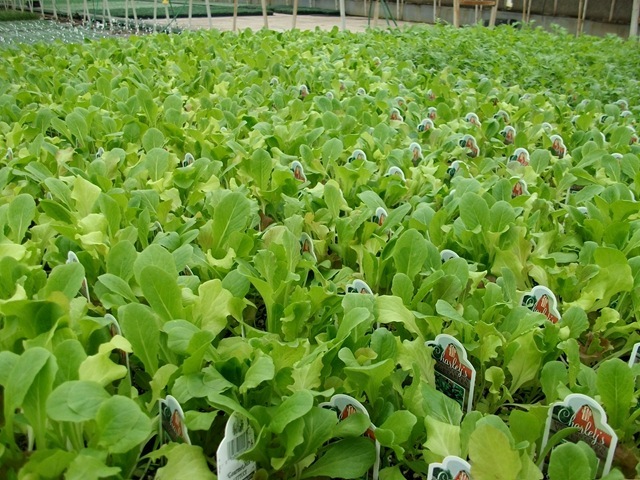 We grew the Taishan for the first time in Fall of 2009 and we were really impressed with how well they performed in the greenhouse. 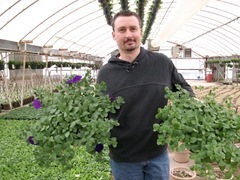 We added them to our regular spring production last year. The plants are stocky with strong stems. 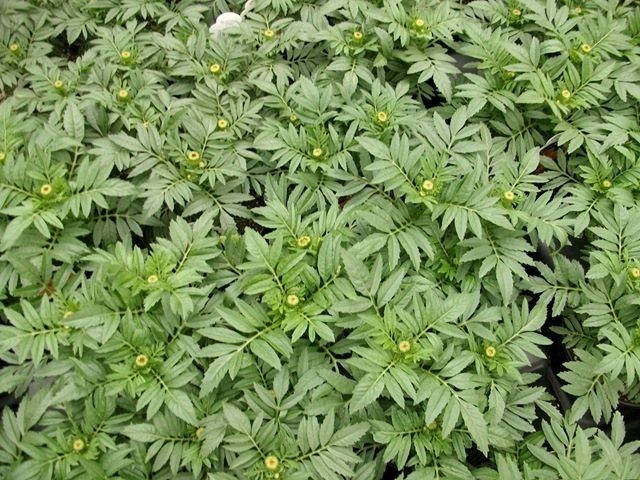 In addition, they branch well and after the initial main stem flower dies there are always 2-3 more buds coming up from the lower stem branches. 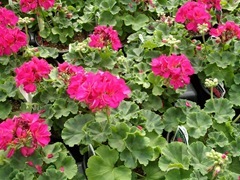 The strong stems hold the blooms upright even after a rain or watering when the blooms are heaviest. 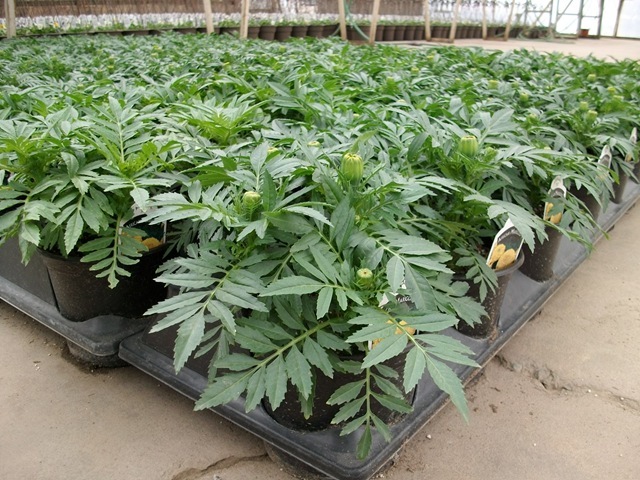 All in all, Taishan is the best large flowered Marigold that we have ever grown. 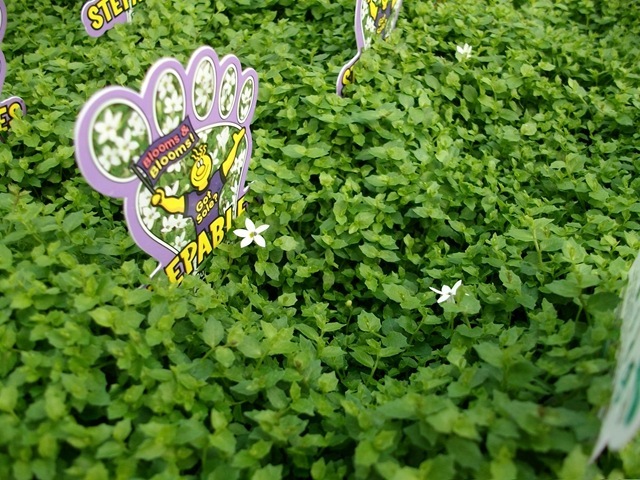 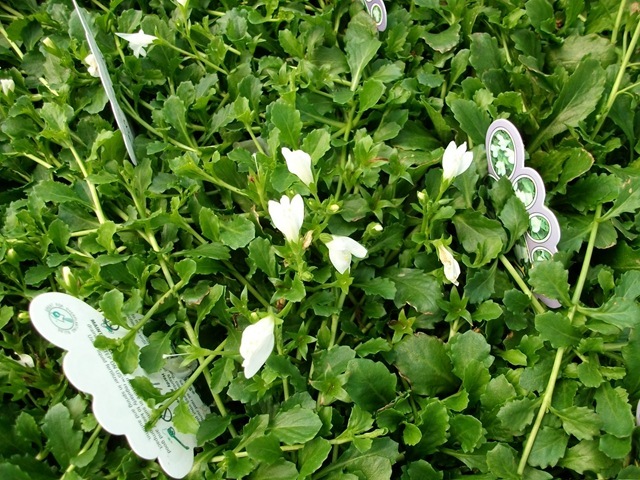 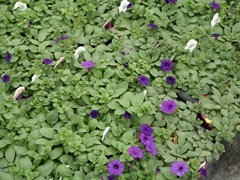 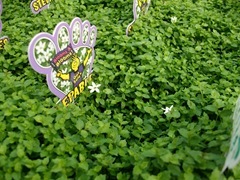 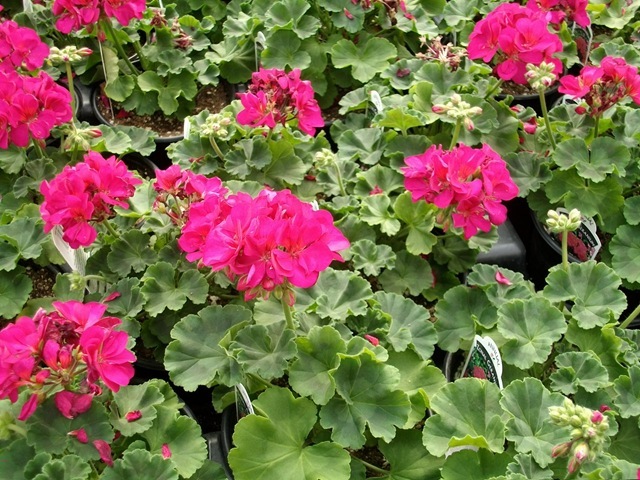 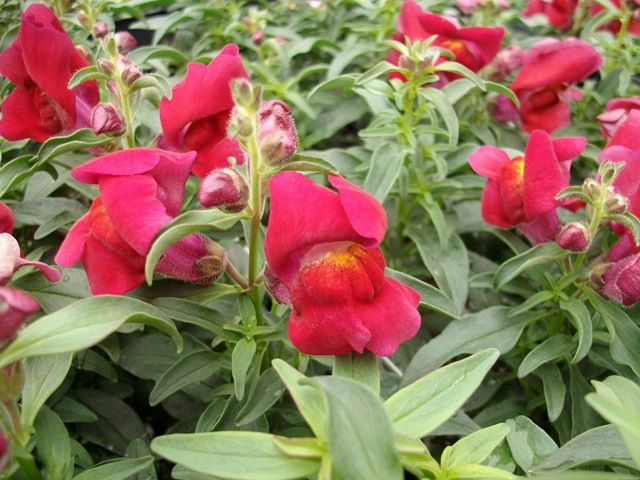 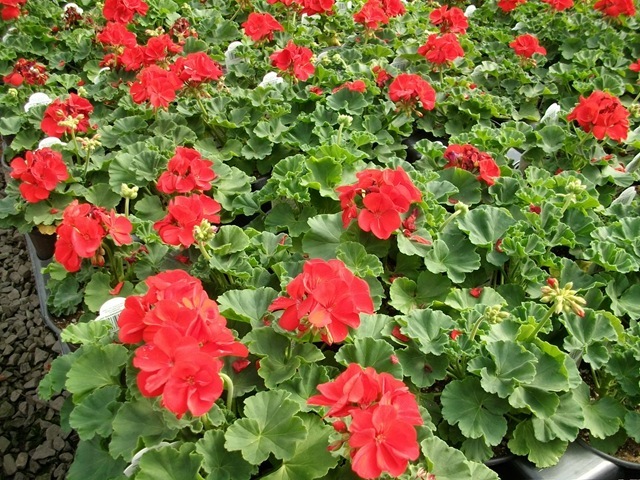 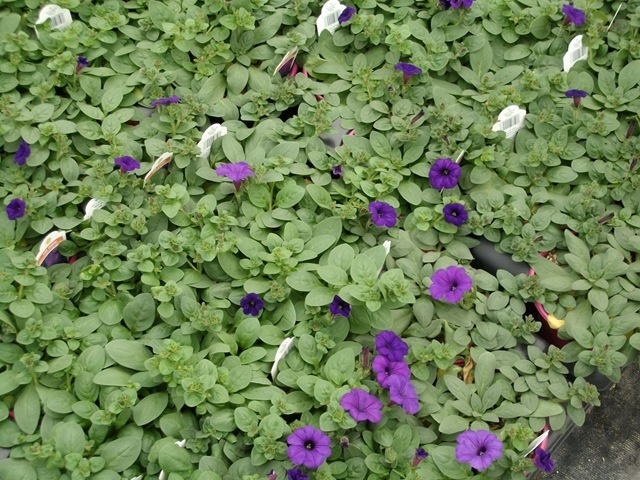 It does great in production, has an impressive uniform presentation in the garden centers and performs well in landscapes with continuous blooms all summer long. 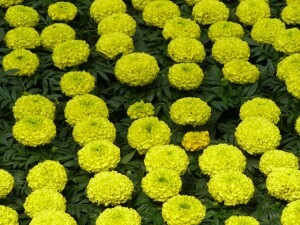 For more information check out our Taishan Orange and Taishan Yellow pages, and the this video.